We see a lot of septic system abuse during inspections and pumpings, and talk to many homeowners who weren’t aware that their habits were affecting their septic system. Here are a few simple things you can do to help keep your septic system running efficiently. Spreading your laundry out over the week instead of doing it all in one day will help prevent hydraulic overloading of the system. If you are looking to purchase a new washing machine, consider one that uses less water per load. The only things you should ever flush are waste and toilet paper. Q-tips, paper towels, candy or gum wrappers, feminine products, condoms, cigarette butts, etc., do not disappear and are found in your tank when it is pumped. Flushing medications into your septic system can affect the bacteria in your tank, causing the system to work less efficiently. Using too much antibacterial soap can have the same effect as well. There are wipes for everything these days — baby wipes, disinfecting wipes, makeup remover wipes, etc. They may flush just fine, but can cause plumbing blockages and do not actually break down inside your septic tank. They create a thick layer of wipes inside the tank that is difficult to remove. Here’s some more things you think you can flush, but really can’t. Don’t treat your garbage disposal like a trash can. Putting too much food into your septic tank can overload its bacteria, making the system less efficient and creating the need for more frequent cleaning of your septic tank. Need help now? Give us a call at 830.249.4000 (Boerne) or 210.698.2000 (San Antonio). We would like to add anything beneficial to our system that may enhance bacterial activity. Do you recommend anything. We don’t recommend any additives. More information can be viewed at the link below. 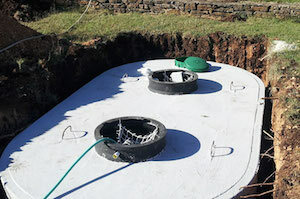 ← Can Septic Systems Be “Green”?